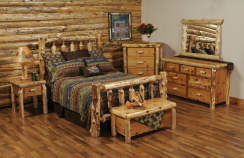 Proudly Made in the USA This Bed ships in 3 - 4 days Liftgate Delievery Option: This allows the.. Proudly Made in the USA This Bed ships in 3 - 4 days Liftgate Delievery Option: This allows the .. Proudly Made in the USA All Beds are made to order and ship in 4 - 6 weeks Liftgate Delievery Op..